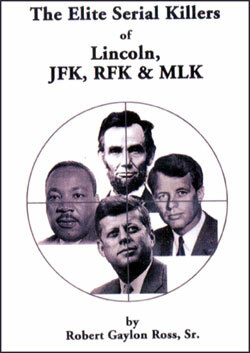 Item Name: DVD - Elite Serial Killers of Lincoln, John Kennedy, Robert Kennedy, Martin Luther King, Jr.
Each of these fine leaders were murdered by the Global Elite because they threatened the Plan which had been set in place. Robert Kennedy was killed because the Illuminati wanted no Kennedy to ever again sit in the Oval Office. Beleive me, Ted Kennedy certainly got the message! You will be completely surprised by the revelations of this most interesting video!